TGx:Details for torrent "[Team-FCW] Tara Lesher - Compositing Tutorials - Sea Monster"
Torrent details for "[Team-FCW] Tara Lesher - Compositing Tutorials - Sea Monster"
I created this sea monster composite to show how easy it was to edit this with the techniques applied. This is one of the easiest composites available in the membership because the stock graphics already have such an illustrative feel, eliminating much of the work like editing lighting, shadows, color tones or things like that. 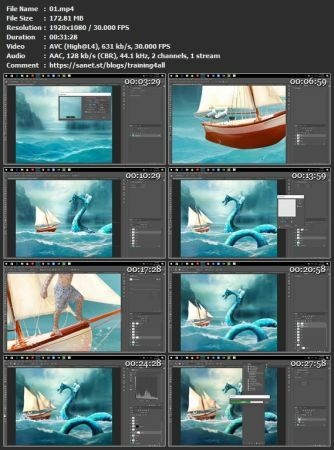 The final image looked much more like an illustration or a painting.